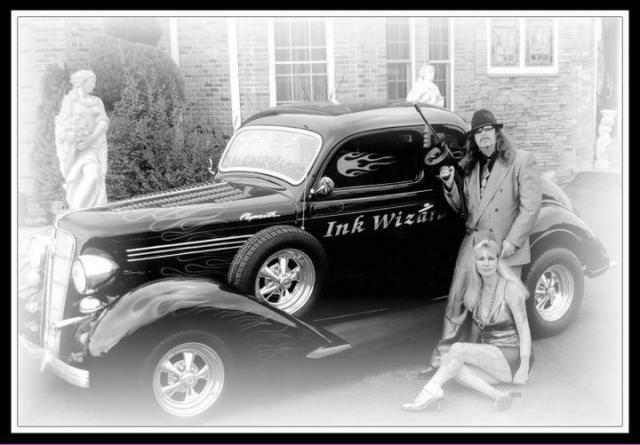 About Ink Wizard Tattoos, Inc., Was established in 1989 by Owner & Award winning Artist Gary Hall. 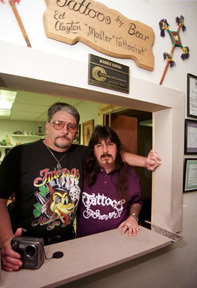 Owners Gary & Cat Hall have put their heart & soul into the preserving the history of the tattoo industry. 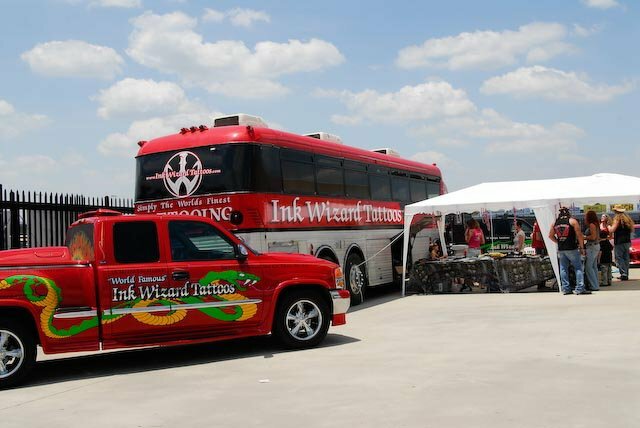 Ink Wizard Tattoos has a large collection in their museum of Tattoo Nostalgia, & have set the standard for modern tattooing in the State of Georgia. Over the Years the Company has expanded into sixteen Studios in Georgia. 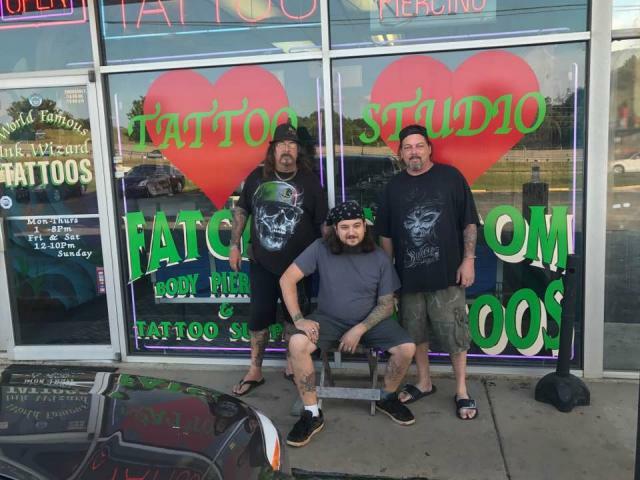 Growth of this kind in the Tattoo Industry was unheard of for this time period. We continued to grow by adding more Artists & expanding our team of Professional Artists & Specialties. 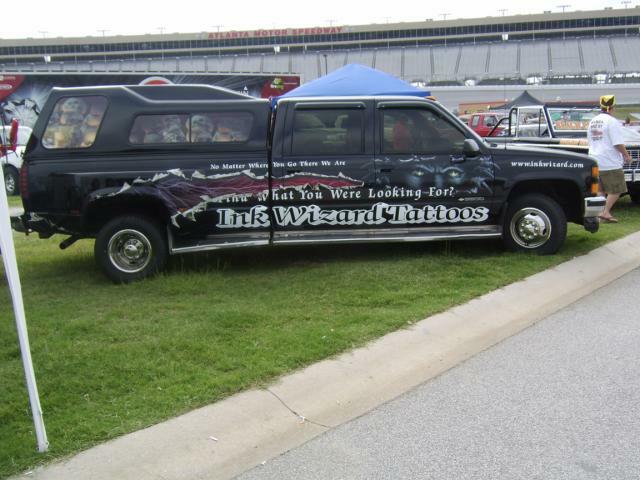 Over the years Ink Wizard has attended & supported numerous events, & with the addition of our "Not Ready For Retirement" Tattoo Bus we have expanded our horizons to road trips. 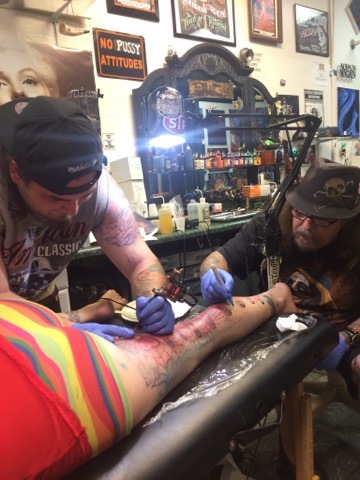 Ink Wizard Tattoos offers a truly unique opportunity that will enhance your Tattoo experience. 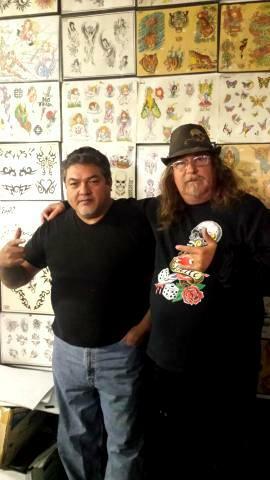 We offer custom art work, custom cover-ups, portraits, designing special memorial pieces, & Anything You Can Dream Up. There's just a magic about the way we match the designs to the Customer's needs. No matter how large or small our team ~ Our Team is here to please with clean, friendly, & professional attitude. 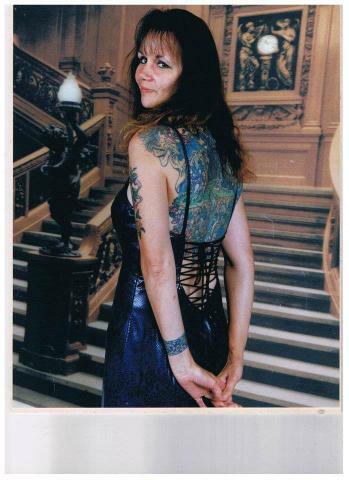 We have unique talents for Scar Cover-Up, Vitiligo Skin Cover Up, Cosmetic Permanent Tattooing, & Removal of Unwanted Tattoos.